In Her Shoes is a drama about two sisters who are very different. The older sister is a succesful lawyer working in a firm. The younger sister is a pretty party girl who likes to mess around with guys. She is, however, unemployed and still living with her father and step-mother. The step-mother kicks her out of the house after she comes home drunk, and she ends up living with her older sister. Her bad attitude soon puts her older sister in troubles. She even sleeps with her older sister's boyfriend one night. When her older sister comes home and finds them in bed, she gets kicked out once again. Having nowhere to go, she finally decides to go to her grandmother's place in an old flocks house. It's when they are apart that they realise how much they need each other. In my opinion, this film is good. I like how the older sister eventually forgives her younger sister. In the end, everybody is happy. I like happy endings. I mean, who doesn't? Haha! And this one... I'm sure you know this one. 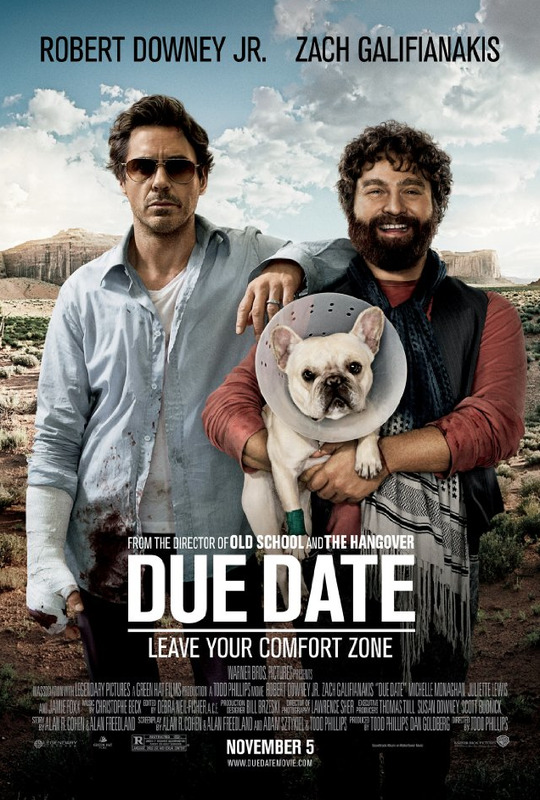 Due Date is a story about Peter (haha! Like Sarasvati's song!) who has to rush home for her first child's birth, but he gets kicked out of the plane because of a self-proclaimed actor, Ethan. With all his belongings still on the plane, Peter is confused and clueless because he doesn't have any money to rent a car to go home to his wife. Ethan and his dog then show up with a rental car. Peter is forced to go home with Ethan, whom he doesn't get along very well.